This dog carries two copies of the dominant Hr Allele which is lethal causing pups to die In Utero. This dog carries one copy of the dominant Hr allele and one copy of the recessive hr allele which produces hairlessness. This dog will pass on the Hr allele to 50% of its offspring and the hr allele to 50% of its offspring. This dog carries two copies of the recessive hr allele which results in a coated dog. This dog will pass on the hr allele to 100% of its offspring. The Hr Locus (Hairless) impacts the presence or absence of a coat on certain breeds of dog. A DNA variant in the FOXI3 gene, an important gene during early embryonic development, disrupts the normal development of hair and teeth in the dog which can result in sparse or absent hair as well as missing or abnormally shaped teeth. The hairless variant is inherited in an Autosomal Dominant fashion meaning only one copy of the FOXI3 gene variant is required to produce hairlessness. However, inheriting two copies of Hr is not compatible with life causing pups to die In Utero. Therefore, breeding two hairless dogs (hr/Hr) may result in reduced litter sizes. Genetic testing of the FOXI3 gene will reliably determine whether or not a dog is a genetic Carrier of the variant that produces a sparse or absent hair and missing or abnormally shaped teeth. Breeding two hairless dogs will result in slightly reduced liter-sizes because about 25% of the puppies will inherit two copies of the Hr Allele and will die In Utero. However, about two-thirds of the surviving litter will have one copy of the hairless variant (hr/Hr) and have sparse or absent hair and one-third of the liter will have two copies of the haired variant (hr/hr) and be coated dogs. Note: In our laboratory, we have identified hairy hairless Chinese Crested dogs as either carriers or clear for this Mutation. 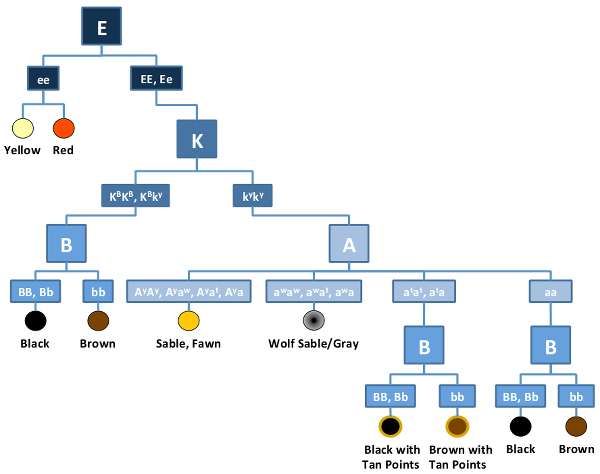 This indicates that the genetics of hairy hairless Chinese Crested dogs is not completely understood and there are likely other modifiers in the genome that interact with this gene.